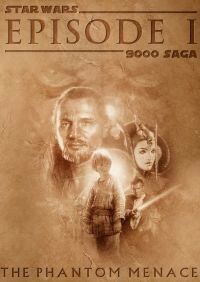 This SW Eps 1 fanedit takes from all so well known fanedits the best and combines these ideas to one great watching experience. This film seemed to be decently edited, with most of it’s flaws being conceptual. But other than that, what we’re given plays out well on it’s own. Most of the edits are for pacing, as well as removing junk that takes the focus off the main characters and plot development. And of course, many of these changes have been made in almost all other fan edits. This film has been “fan edited” the most. This is an old edit, done in 2007ish. You are probably looking for the newer one, Cloak Of Deception. , - Removed Jar Jar talking to Qui-Gon about being "robbed and crunched"
To put it bluntly, it just doesn’t cut enough. There is still too much Jar Jar, too many Jake Lloyd lines and what exactly was your thought process in leaving Midichlorians in there? 1/2 hour into the movie, I still want to vomit. CUT MORE!! !